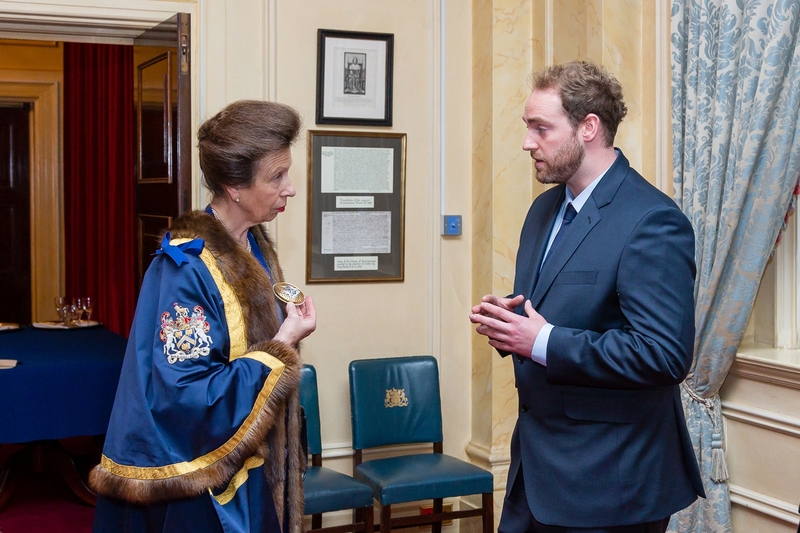 The Perpetual Masters Badge was commissioned by The Worshipful Company Of Saddlers in 2015 for HRH Princess Anne. The piece was significant for The Saddlers Company, with the company only every having made two previous Perpetual Masters in its long established history, dating back to circa 1300. The first ever was Fredrick Prince of Wales 1737-1751, and the second was The Duke of Connaught and Strathearn 1906-1942. The design itself displays The Saddlers’ Company crest and takes inspiration from their impressive livery hall and the equestrian world. 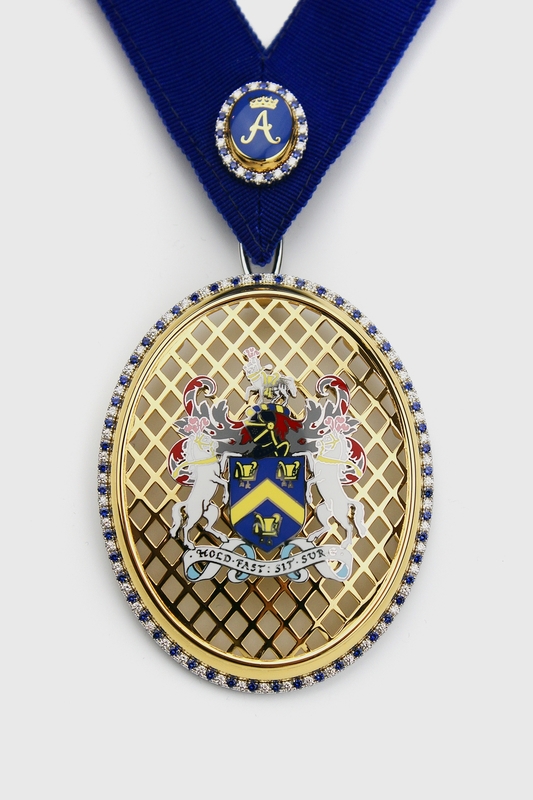 The badge is made from a mixture of materials including 18ct white and yellow gold, enamel, sapphires and diamonds. 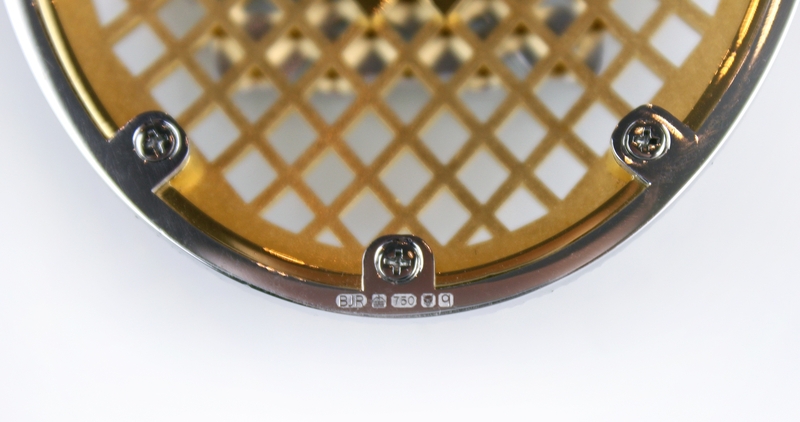 The Badge’s open fret work allows the piece to be substantial in size, without being too heavy and uncomfortable to wear. 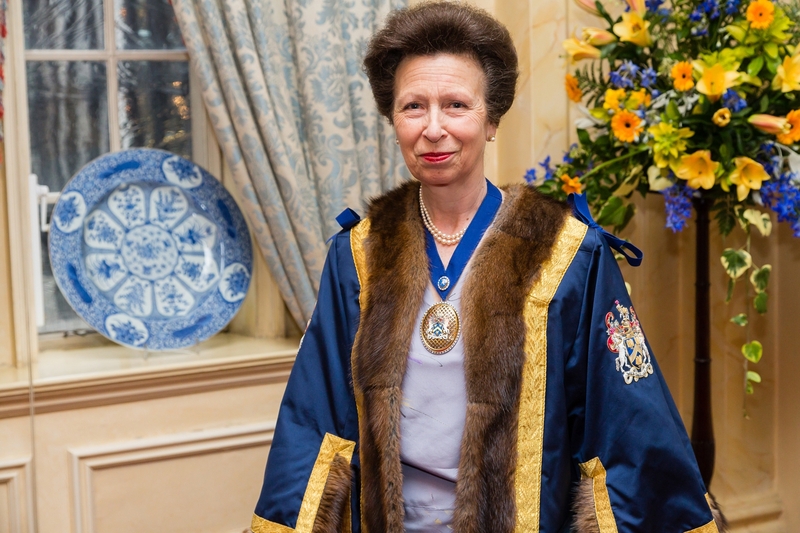 The stones set around the perimeter edge of the badge and the Princess Royal’s Cypher, allows the piece to catch the light in a spectacular way, and gives the piece a feminine delicacy, not often found in ceremonial badges of office. By setting the stones in an open scallop set fashion, the ‘U’ shape form of a horse shoe is subtly echoed around each stone, allowing maximum light to reach each and every sapphire and diamond.